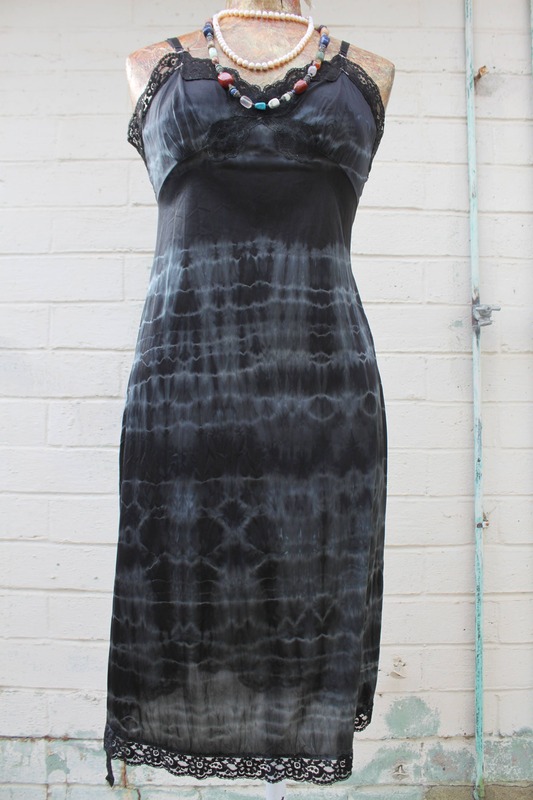 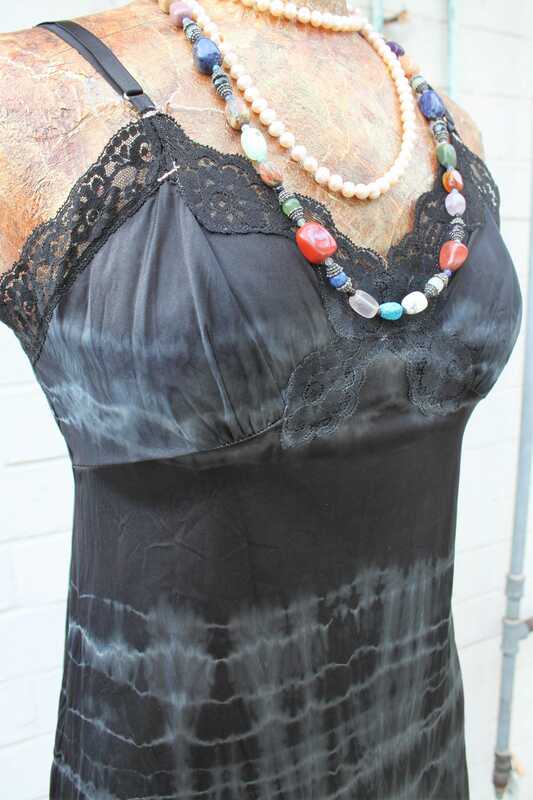 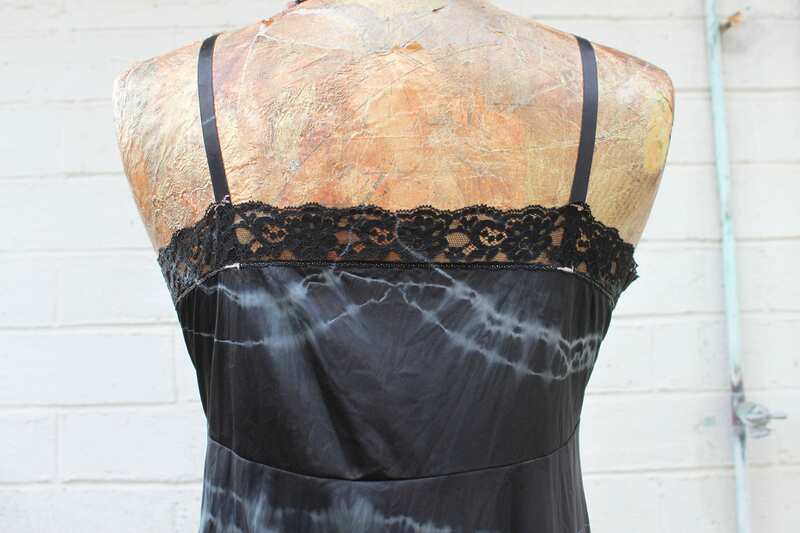 Handmade upcycled vintage slip for the gothic nymph hippie. 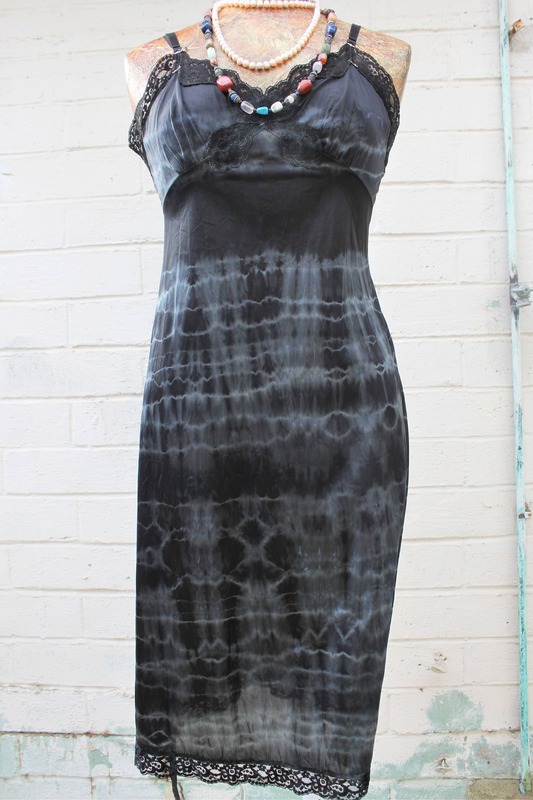 Hand Dyed soft black and pewter. 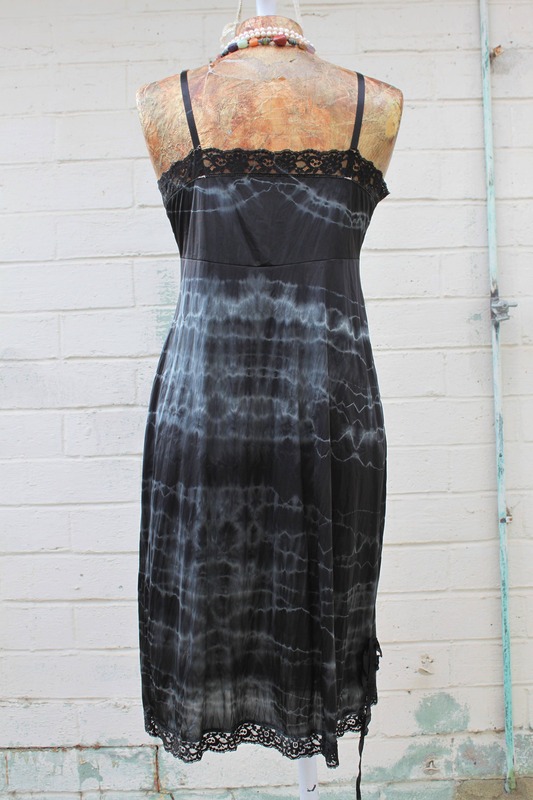 Darling silouette shape,romantic lace bust and feminine flounce.This is a vintage slip to wear as a romantic dress. 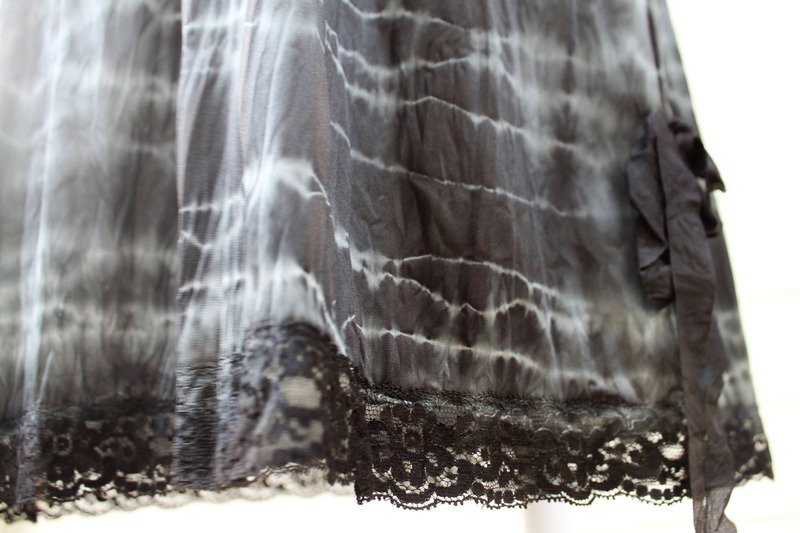 Such a beautiful vintage slip, soft, and sensual must be worn with cowgirl boots!